High Quality ScooterTuning Hoody (50% Polyester) with our new 2015 logo! High Quality ScooterTuning Hoody (50% Polyester) with our new 2015 logo! High Quality ScooterTuning Hoody with MSLF Scooter Club from North Carolina Theme. 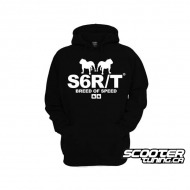 High Quality ScooterTuning Hoody with MSLF Scooter Club from North Carolina Theme. High Quality ScooterTuning Hoody with Detroit Theme. 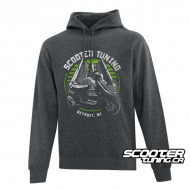 High Quality ScooterTuning Hoody with Detroit Theme. High Quality ScooterTuning Hoody with Boston Theme. High Quality ScooterTuning Hoody with Boston Theme. Dragon 280g 80% Cotton poly blend fleece Hoody. Please choose size in the drop down list. Dragon 280g 80% Cotton poly blend fleece Hoody. Please choose size in the drop down list.